Scandinavia is home to a rich, diverse music scene. From Iceland to Sweden, some of rock’s most innovative musicians, like Bjork, Sigur Ros, Sea Bear and Peter Bjorn & John, call this chilly foreign land home. Perhaps it’s the majestic fjords or the harsh weather – whatever the inspiration, this area of the world produces some really amazing music. 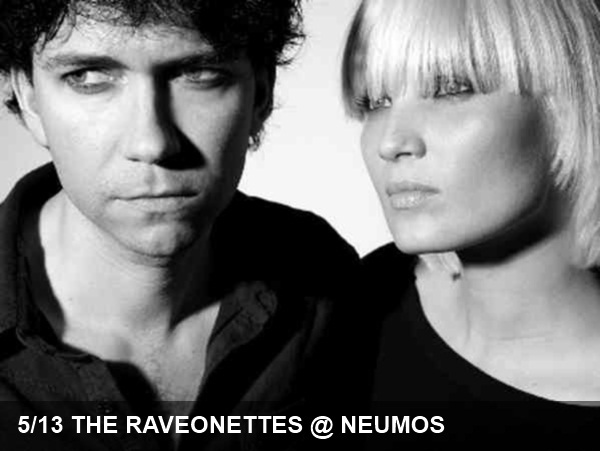 Today’s recommended show comes straight from the heart of Scandinavia, Denmark’s The Raveonettes. They’re known for their well executed dichotomy of complex, grim lyrics and bubblegummy, 50’s rock melodies. The duo released a new album last month, Raven in the Grave, and it is proving to be oe of their best albums yet. Head to Neumos tonight for this sure-to-be-awesome set. The Raveonettes will be supported by Tamaryn.